"Eddie the Terrible," as his rescuers called him, had the deck stacked against him. When he arrived at the Humane Society of Silicon Valley (HSSV) last year, he was, as shelter staff put it, "a handful of a dog." A "well-fed stray," he was friendly with people he liked, but he didn't like children and he couldn't stand other dogs. 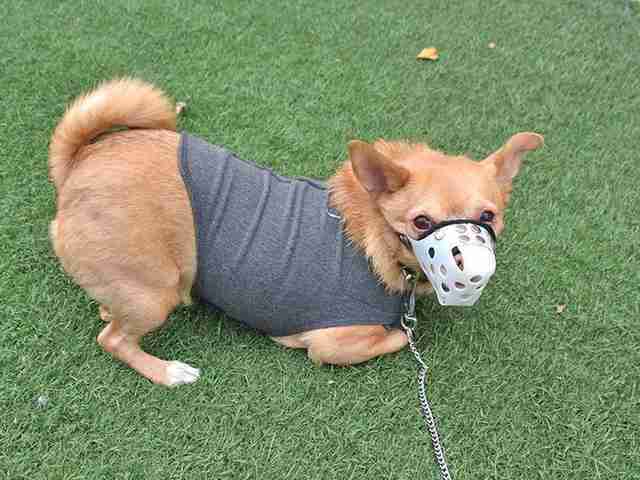 "He was ridiculously, absurdly dog-reactive," HSSV's Finnegan Dowling told The Dodo. "He went nuts when he saw another dog." 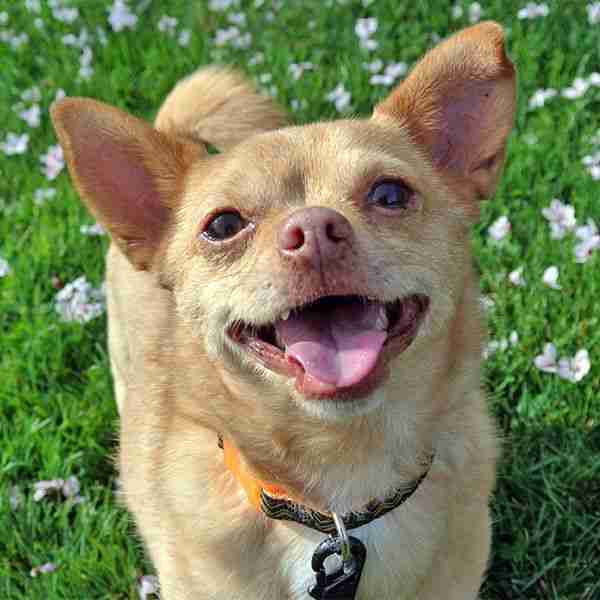 Worst of all for Eddie, he was a tan Chihuahua in a state where the shelters were overflowing with dogs just like him. In California, Chihuahuas rival pit bulls as the breed most likely to be overlooked in shelters, Dowling explained. Eddie went to a foster home and even worked with Marthina McClay, a dog behaviorist who helped rehabilitate the Michael Vick dogs, but Eddie was still, well, pretty "quirky." After 15 months he still hadn't been adopted, so the folks at HSSV decided to try something a little different. They decided to spread the word about Eddie as the flawed, messy dog he was - and they hoped that the perfect family would fall in love with Eddie just as he was. 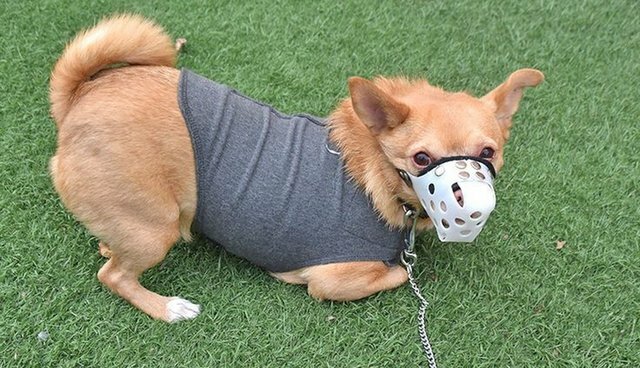 Eddie went totally viral - and he got the happy ending everyone had been hoping for. "Eddie the Terrible" is now "Teddy the Beloved." And as Teddy, he's a completely different dog. Teddy's new family saw the coverage of him and fell in love. They knew he would probably never be the best-behaved dog in the world, but they didn't mind. When you give an animal a home, it means you're accepting him for who he is - warts and all. 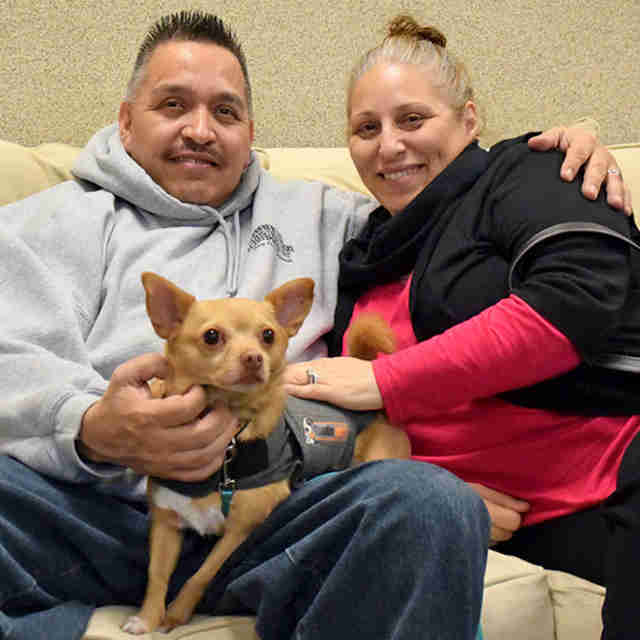 With his new mom and dad, Teddy is calm, snuggly and relaxed. And in a triumphant new blog post, HSSV announced that Teddy was recently certified as an emotional support dog for his dad. "We should all stand in awe of the transformative power of love," the shelter said of Eddie/Teddy's story. It turns out that "Eddie The Terrible" maybe wasn't so terrible after all. He was a lot like the dogs many of us know and love. He's no saint (well, maybe now he is ...), but that doesn't mean he didn't deserve a chance to have a family of his own.